8:00pm: If We Did Nothing Would the World Cease to Be? 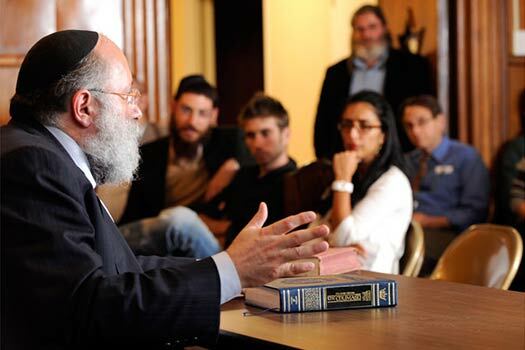 This week’s edition of MyLife: Chassidus Applied with Rabbi Simon Jacobson, Episode 228, will air tonight, Sunday, here on CrownHeights.info, beginning at 8:00pm. This week Rabbi Jacobson will address the topics: What Can We Practically Do to Pray a Bit Better? Should I Be Concerned About Speaking Loshon Hora When Speaking with My Mentor? For the Sake of Sholom Bayis Should I Do Something My Spouse Prefers That I Would Normally Refrain from Doing? Does the Torah Expect the Same from People Regardless of Their Vital Childhood Experience? 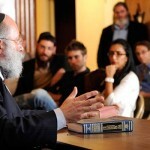 Is There Any Value in Rigidly Doing Mitzvot by Rote Even If It Does Not Refine Me? What Does It Mean That We Need to Stimulate G-D’s Desire to Recreate Existence on Rosh Hashana? If We Did Nothing Would the World Cease to Be? Standing in the month of Elul when we increase in prayer, what can we practically do to pray a bit better? Should I be concerned about speaking loshon hora when I am working through with my mentor the hurt I have experienced at the hands of another? For the sake of sholom bayis should I do something with my spouse that I would normally refrain from doing? Does the Torah expect the same from people regardless of their vital childhood experience? Is there any value in rigidly doing mitzvot by rote even if it does not refine me and help me personally grow? Chassidus question: What does it mean that we need to stimulate G-d’s desire to recreate existence on Rosh Hashana? If we did nothing would the world cease to be?